This great book written by Gail Damerow is an A-to-Z reference that is both informative and entertaining. Organized alphabetically by term, it covers topics such as anatomy, breeds, coop components, and health problems. Full-color breed illustrations, along with detailed line drawings, such as one depicting how to determine an egg’s age from its position when placed in water, add both visual appeal and substantive information. Tables ease comprehension of complicated subjects like predator identification. 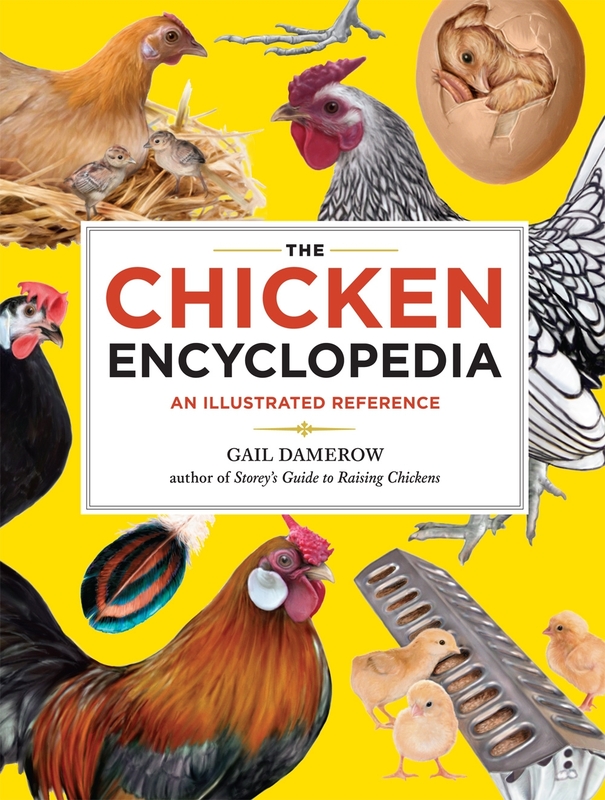 It also touches on subjects from addled to wind egg, crossed beak to zygote, the terminology of everything chicken is demystified in this illustrated A-to-Z reference. 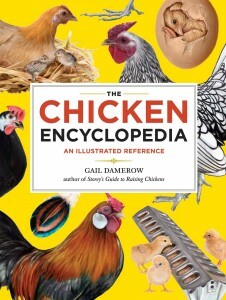 If it concerns chickens, it’s covered in this comprehensive encyclopedia. You will be sure to find breed descriptions; definitions of common chicken conditions, situations, and behaviors; and much more. Whether it’s the differences among wry tail, split tail, and gamy tail; the meaning of hen feathered, forced molt or quill feather; the content of granite grit; the characteristics of droopy wing; or the translation of a chicken’s alarm call, here are the answers to every chicken question and quandary. This book is a quick reference, but is not meant to be a how-to book, but would go great with Storey’s Guide to Raising Poultry.